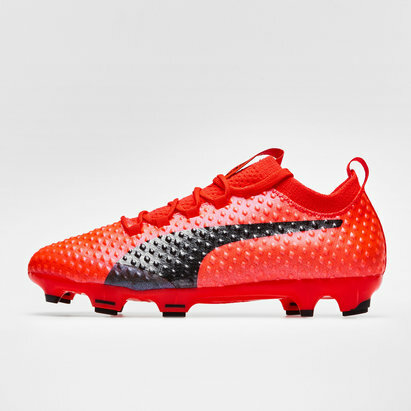 For those players looking to add power and accuracy into their game the Puma evoPOWER Vigor 1L Graphic FG Football Boots will set you apart from the opposition. 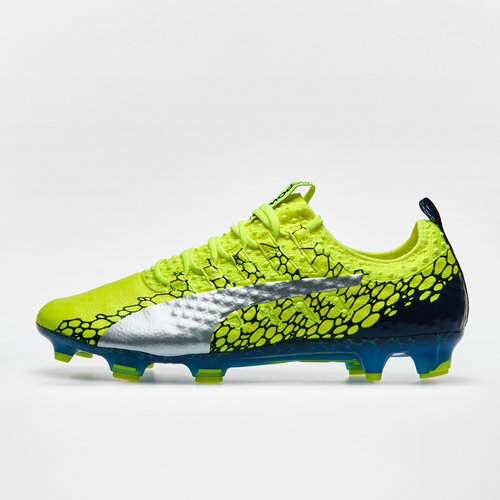 The most technologically advanced boot coming from Puma's evoPOWER range, these evoPOWER Vigor 1L Graphic FG Football Boots are designed with a one-way stretchable ADAP-LITE upper support cage, that allows the foot to bend freely, mimicking the motion of barefoot kicking, which in turn, increases power when making contact with the ball. Lightweight Pebax® outsole with a combination of bladed and conical studs.